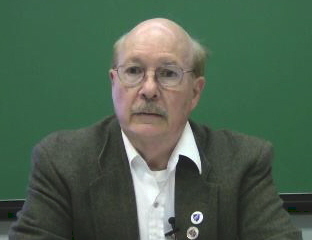 Grover Furr. Biography. | Interportal "Fascism-XXI at your door"
Home » Grover Furr » Grover Furr. Biography. Grover Furr was born April 3, 1944 in Washington, DC. Grover Furr began studying the Russian language as a hobby in 1957 and has continued ever since. Education: Princeton University 1965-1969, Department of Comparative Literature. Literatures: Medieval British, German, Russian, French. Ph.D. degree 1979. Current position: English Department, Montclair State University, since February 1970. Associate Professor, 1995; Full Professor, 2012. 2011 "Khrushchev Lied" - English version of the book "Anti-Stalinist Villainy", revised and updated. 2014 "Blood Lies: The Evidence that Every Accusation against Joseph Stalin and the Soviet Union in Timothy Snyder's Bloodlands Is False"